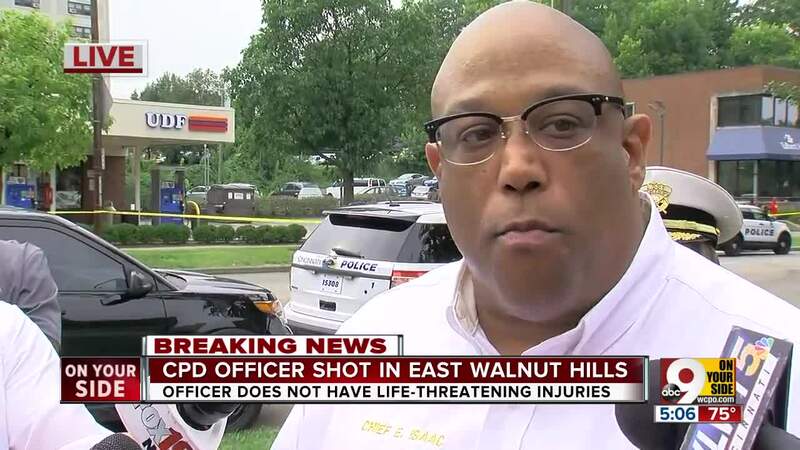 CINCINNATI -- There was good news Saturday about the officer shot in the arm in a deadly confrontation in East Walnut Hills Friday. 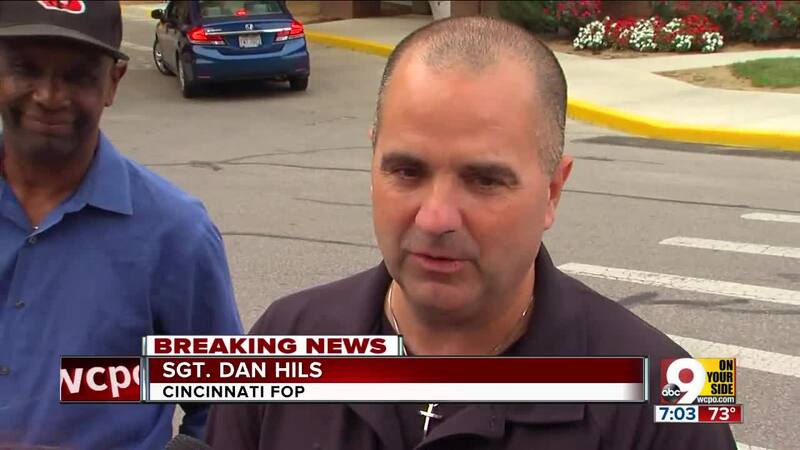 The officer's surgery went "very well" and he "will probably be able to go home" Sunday, FOP President Dan Hils said on Facebook Saturday night. Earlier in the day, Sgt. Hils had said the surgery was "delayed twice for more emergent cases. Continue your prayers that the surgery is successful and his long rehab can begin." The Friday afternoon shooting left a suspect dead and anxious public officials recalling the 2015 shooting death of Officer Sonny Kim. "When I get the phone call, it's, 'Please, not again,'" said Hils. "I get shaky. I get nervous. I’m afraid that, 'Here we are again.'" 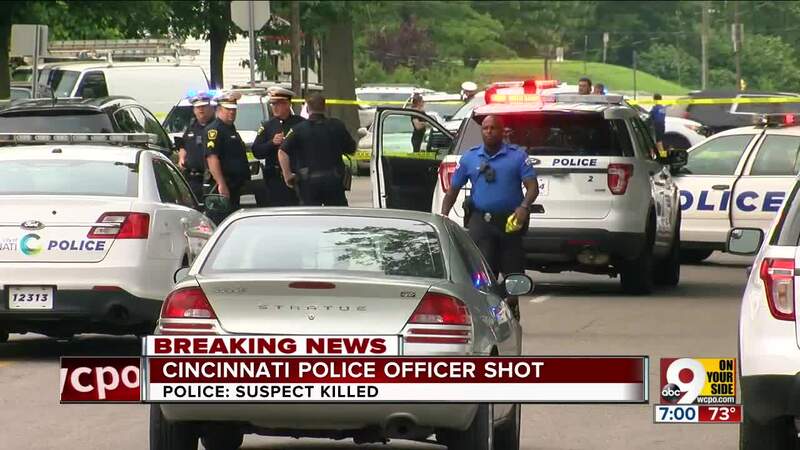 The wounded officer, whose identity had not been released to the public, was serving a felony warrant for an undisclosed offense to a person in an apartment at 2630 Victory Parkway around 3:40 p.m., according to Cincinnati Police Chief Eliot Isaac. After the suspect shot him in the arm, other officers swarmed the scene and shot the suspect to death, according to police and Mayor John Cranley. "I couldn't even tell you how many bullets (hit him) because we are going to have to X-ray him and do an autopsy," Hamilton County Coroner Lakshmi Sammarco said. The suspect's name has not been released. Sammarco said he was in his early 20s, but she did not reveal or any other information. Cranley, in a short news conference, said the suspect was a known violent offender and had pulled a gun on officers when they arrived to serve the warrant. Cranley did not known what kind of treatment the suspect may have been receiving from Talbert House. 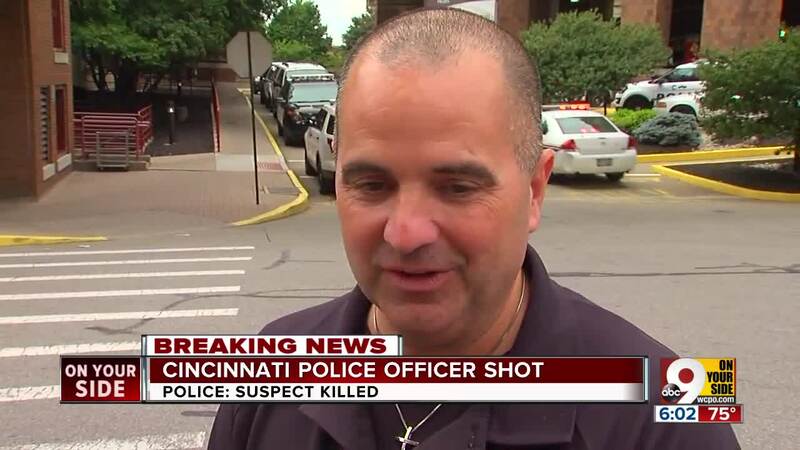 He said he hoped to talk to the wounded officer, who was hospitalized at the University of Cincinnati Medical Center, on Saturday. Both Cranley and Hils said the incident brought to mind the shooting of Kim, who died June 19, 2015 , while responding to reports of a person "walking around (and) getting belligerent with a gun" in Madisonville.